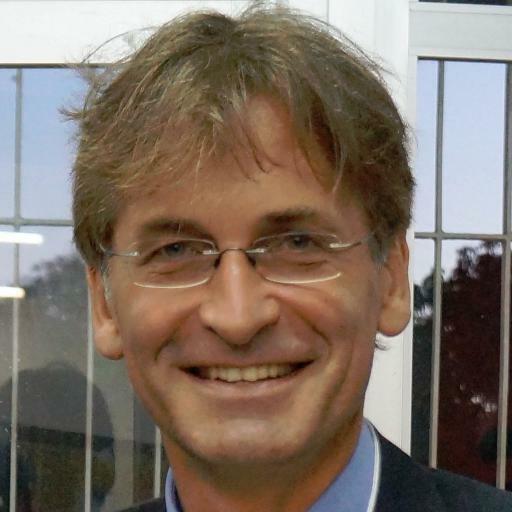 Joerg Bibow is Professor of Economics at Skidmore College and a Research Associate at the Levy Institute at Bard College. His research focuses on central banking and financial systems and the effects of monetary policy on economic performance, especially the monetary policies of the Bundesbank and the European Central Bank. This blog post is a submission to the Bretton Woods@75 initiative: a global dialogue to honor 75 years of economic progress and to revitalize the spirit of Bretton Woods now and for the future. The successful crafting of the Bretton Woods global economic architecture at the end of WWII followed decades of monumental destruction, bloodshed, and misery. Now, 75 years later, the US-led, multilateral, Bretton Woods economic order is getting increasingly questioned, if not outright undermined, while ever fewer players commit to having its back. In today’s generally more prosperous conditions it seems tough to focus leaders’ minds on what is needed to keep the global community of nations on a collaborative and constructive path. Few constituents, including the dominant global power, the United States, continue to see abundant merit in upholding or developing the current order as the foundation for global cooperation. An international order can only be sustained if its members lend their continuous support to upholding it and play by the rules. Members are only likely to do so for as long as they perceive the existing order as serving both their own national interests as well as the interests of the global community. Today’s international order appears to be in trouble as more and more members, including very powerful ones, either question its continued benefits and/or accuse other members of failure to abide by the rules. Even if bilateral trade “deals” currently under negotiation were concluded “successfully”, it is not assured that the damage already done to the current order is fully reversible. Mutual trust is a delicate creature, especially at times of heightened rivalries. It is vital to identify and comprehend the underlying causes of perceived malfunctioning and widespread dissatisfaction with today’s order if the benefits of the tenets of Bretton Woods are to be sustained. Discontent about “hyper-globalization” is widespread. Important constituencies in many countries, rich and poor, feel left behind, no longer beneficiaries of the growing wealth produced in the globalized economy, and no longer sufficiently protected by their respective national institutions and authorities. A widespread perception is that largely unchecked “multinational” corporate powers have come to pull the strings in socio-economic and political affairs alike. Even educated citizens are wondering about the purpose of democracy – organized nationally – when their own and their nation’s fate seems predominantly in the hands of huge multinational (or nationless?) corporations and financial institutions rather than any elected representatives over whom they maintain some semblance of control. Meanwhile, governments are engaging in a competitive race to foster national corporate champions while their citizens feel the brunt of corporate power exerted globally. The rise of populism and nationalism may seem strange at first given that global income and wealth have continued to rise despite the harsh crisis that struck a decade ago. Moreover, global inequality has declined as some poorer nations are catching up with richer ones. And yet, within many nations, not least the United States, inequalities have widened drastically. Inequality, along with climate change, have become the two foremost challenges of our time. The risks they pose to humanity and life on this planet are now seen to be indelible and catastrophic. We acknowledge the problematic nature of the current state of affairs in official language that routinely calls for a trajectory of global growth and development that is “sustainable” as well as “inclusive”, contemporary catchwords that capture our ongoing failings at these vital fronts. While climate change is a truly global threat that demands global cooperation, apart from national action, rising national inequalities are foremost a national affair, manageable, in principle, by national instruments. Poor developing countries may be challenged at both fronts, both for lack of resources and institutional capacities. Rich developed countries, however, have no such excuse. They do have the means and institutional capacities to reverse inequalities and adopt more inclusive and sustainable growth initiatives. Failure to do so is a political choice. To then blame poor social outcomes on foreigners and channel the forces of rising populism against foreign rivals is stealing a page from the historical playbook of nationalism and warfare that is known to produce no happy endings. It is the great tragedy of our time that the inequality fiasco has come to stymie global cooperation in fighting climate change as would-be partners are turning into adversaries that see the existing global order as hindering rather than furthering their national interests. If “hyper-globalization” under the current order is at fault, a proper reading of the underlying causes at work should inform any constructive approach to regime reform.